In the today interview we will chat with Sinergia Sostenible, a project with status of association without spirit of profit. 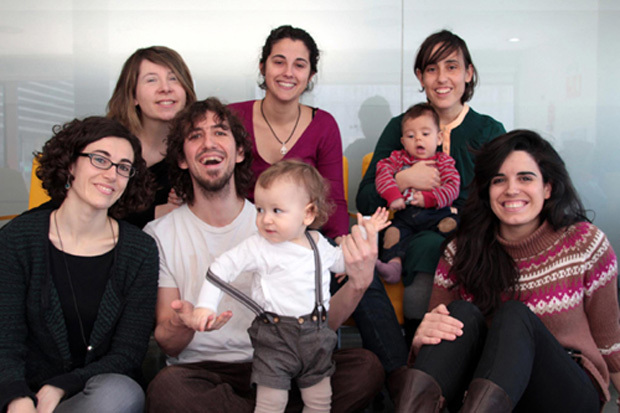 Initiated in year 2008 and formed at present by Amaya González, Lorenzo Barnó, Agnieszka Stepien, Uxua Domblás, Ana Enguita and Leire Garaikoetxea, develop his activity so much in Navarre, since in the rest of the condition. His founders define this initiative as a place of meeting where the desires are fused of knowing and to give to know what is the sostenibilidad, to look for the best way of coming to her. 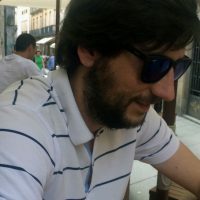 Sinergia Sostenible is not only a container where to classify his own investigations, but also a multiplication of forces where the interaction with the readers of his blog is very important. Parallel to the confection of this virtual space, and as part of a more wide project of diffusion of the information and interaction with other inhabitants of this planet, they realize symposiums, infantile workshops, courses, congresses (EQUIciuDAD) and other complementary activities. What is the sostenibilidad? For what association? Just now there is a lot of information about what is the sostenibilidad; but, as far back as 2004 when we begin our professional gaits, the topic was not so clear. This way, in 2008, after being formed on the topic we throw the association with the clear idea of that the sostenibilidad was neither the ecology, nor the bioclimática, far from it only the bioconstrucción, since many wanted to make us think. Of this form, we bet for the concept of which the sostenibilidad sustentante in three legs: the Economy, the Equity and the Ecology. It is more, the second leg the Equity, the social thing, is in the one that more we are interested and on her we have worked very much. In turn, in this time, the own word sostenibilidad has commercialized in such a way, that everything is sustainable from the frame of the advertising. This way, though he can turn out to be a tempter to obviate the word, we think that it is more necessary than never. Which has been your formation and professional path in this field? The majority we have been formed with courses and master on sostenibilidad. In turn, thankfully there is infinity of books on the topic and increasingly blogs and webs that treat the sostenibilidad with the seriousness that is deserved. Besides, we are interested specially in the urban scale and, for this reason, we are reading public inspectors of publications as La ciudad viva, an immense ocean of reflections as for sustainable totally updated city. At the par, we have been present at several congresses, first as listeners and lately as referees. 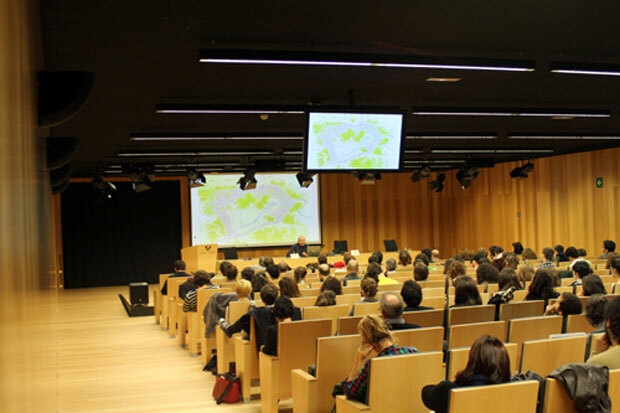 Also we have given lessons three years followed in the Máster Universitario en Eficiencia Energética y Arquitectura Bioclimática, in Madrid, and the Máster de Ciudad y Arquitectura Sostenibles (mcas), in the Universidad de Sevilla. Of all forms, since in almost all fields, a permanent training is necessary and not to believe yourself that you have come to any site ever, every day is a new learning. On the other hand, we believe that it is important to experience the learned in practical cases and, thankfully, we could have done more than one project of architecture, where important concepts of sostenibilidad have been present well. What did lead you to opening way you in him? Who are those to your criterion the potential clients of this service? The problem of the projects with sustainable characteristics is that they are slightly more expensive. Well, it is not that they are more expensive, only it is that initially they cost a bit more, but after a few years the investment is amortized. For the rest, all sound advantages; though also it is true that, often, for betting that everything is very bio-eco-sostenible, does not use the sufficient energy in what it is the own architecture. In this respect, there are very good studies of architecture, since they can be Satt, that they can combine perfectly the architecture and the sustainability. Did you meet many difficulties in his putting in march? Sinergia Sostenible, arose in a very natural way and today after 6 years it is still equal. None of us dedicates all his labour day; for which, there is no an economic tension that makes force the things. The chick-peas have to come on the other hand, and here, though evidently we look at the economic topic, it has never been the principal thing at the moment of throwing to the swimming pool. We do what really we desire and that reaches to the current panorama of the architecture and the sustainability. 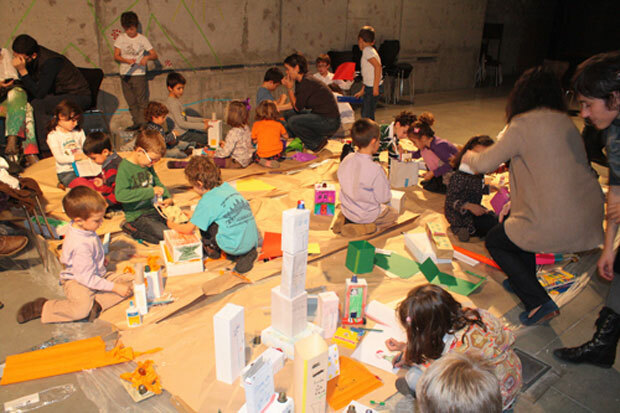 Infantile workshop developed by Sustainable Synergy, in collaboration with ASA. Do you think that to study Architecture has been a fundamental passport to have come to your current work? In this case, fundamental. All the persons who have happened for the association we have been architects and believe that, for this reason, we could have given a vision of the very coherent sostenibilidad. Of all forms, in an immediate future probably there could enter in the equipment people of communication or of education, but our formation as architects, the aptitude to join seemingly unlike situations, it is key in our functioning. Are you satisfied with the reached aims? Do you see him future? The truth is that much does not like to mark his aims; we have been trusting what the future us was bringing and, little by little, advancing for different paths. All the workshops that we have done with the smallest have been brilliant. We have enjoyed, so much they as us, of the pretty thing and it it is for more than can ask. 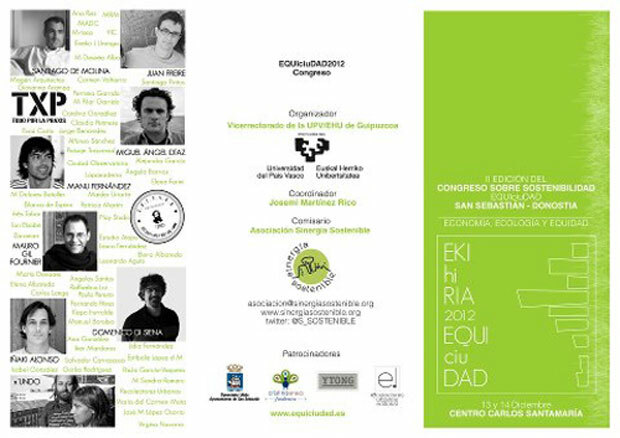 In turn, in year 2011, we met organizing a really important congress as Equiciudad and, ultimately, we did two editions with referees of the height of Andrés Perea, Jose Fariña or Zaida Muxi. Just now, there continue appearing more opportunities to do interesting things and, actually, our problem is that with the dedication that, each of us, we have for the Association, we do not give supply. Shortly, we will have to think of extending the Association to be more active still. Would you encourage other architects to follow your steps? What other advices would you give them? To encourage yes; to bet for the sostenibilidad always is necessary. Events organize, with badly that is quite, it has a double merit and do workshops with children is something that demands you very much but also it gives you a heap. Undoubtedly, which we have done in these years is very nice and we have learned and enjoyed; so, only we can encourage the people to whom it enters for these courses. 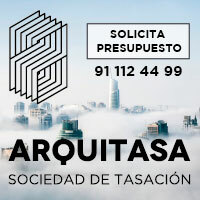 Of all forms, every time there are more people working in a very serious way for the sostenibilidad, as the case of the Asociación de arquitectura y sostenibilidad, ASA. Do you believe that the architects in Spain we should continue opening new routes of work to go out of the “most “traditional” cabin of projecting given the current situation of the construction in our country? To continue thinking that to construct projects is a valid option for the majority of the architects, a today, it is to deceive itself. There will be necessary to do some and better to do them well, evidently, but they are very small that more than 50.000 Spanish architects are in game for. It it is equally to take part in contests against 100 or 200 companions; though only it is for probabilities it is clear that the majority only were throwing hours at the garbage. They are madmen’s systems of that they take advantage, on the one hand, of the good pasta of the architects and, for other one, of our void endowments at the moment of looking for other ways. The future, for the architects, is not in the heart of the architecture, but in his periphery. In turn, not profession works out stopped well lowering the price up to the infinite or working gratis to do cv. Alone our naiveté and illusion for the architecture leads young men architects to being exploited by other architects by dwells name or experience. We need a radical change of mentality and to understand that basic concepts of managerial strategy us cannot continue being foreign. To do what, really, we can do well, to find a niche of market, inside a clients’ segment I make concrete, and that what we do is demanded by the society, they must be the basic props of our activity. What do you think of those that they have been going to work abroad? So such and since the court is, is an option more than logical. Those who go away, besides, in many cases are the most brilliant people and in that a lot of money has been invested on the part of the condition. Our politicians must be spending the whole shame of the world. How do you see the future of the profession? Though it is ugly to say it for architects, the most worrying thing is not the profession, but the architecture. The world needs more of the architecture that of the architects; of fact, without architecture this world would be less happy enough. It is something that we touch all and all the time; few things it is more important. The problem is that, though also many barbarities have been done by our group, who better guarantee that the architecture exists, a today, they are the architects. It yes, the architects we need espabilar rapidly, since we are slept in the laurels; we are a profession without competitive tradition on the labour market and it is obvious too much. In turn, our leaders do not do very much for us, the schools of architecture are, in general, obsolete and the change, yes or yes, has to come from below and from the synergy between the architects of afoot. Still with everything, we are optimistic almost for nature ¡ and we it are not going to stop being now!! Interview realized by Ana Barreiro Blanco and Alberto Alonso Oro. To be grateful forAmaya González, Lorenzo Barnó, Agnieszka Stepien, Uxua Domblás, Ana Enguita and Leire Garaikoetxea his time and predisposition with this space.